Caverion and REX-The East SARL have signed a Managed Services agreement for a new building complex “The East” in Frankfurt am Main, Germany. The value of the contract is not disclosed. Caverion’s Managed Services agreement includes technical maintenance, effectiveness, usability, safety, and condition of the building throughout an agreement period of five years. It also covers winter services, outside and inside cleaning, and gardening. The East is 52,000 square metres in size and consists of 177 rental apartments with superior equipment, a hotel with 170 rooms, an underground garage as well as office and retail spaces. “Besides The East, Caverion manages two more of our properties in Frankfurt. Therefore, we are already familiar with the employees and the strong technical competence of Caverion,” says Daniel Schuster, Zurich Service GmbH, who acts as an advising Asset Manager of the owner company. “As a technical operator, we are responsible for the reliability of all building systems, be it sprinklers, heating, ventilation, or electrical systems. 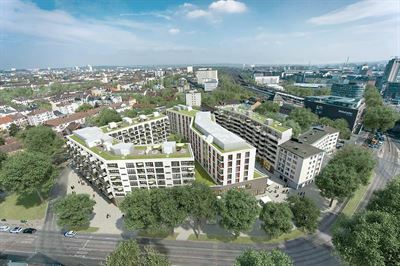 This is guaranteed by our own team on site and a fire protection officer that we provide,” says Karl-Heinz Pfisterer, Head of Facility Services at the Caverion branch office in Frankfurt am Main.